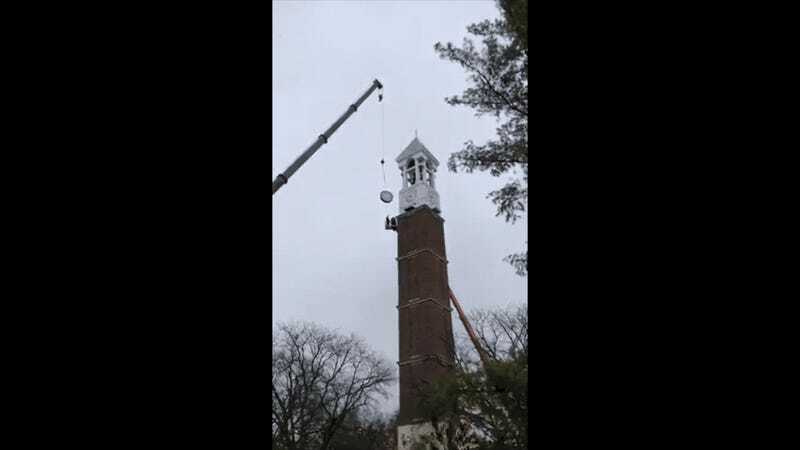 That’s Purdue’s 23-year-old, 160-foot tall bell tower, which was undergoing some maintenance on Tuesday, including work on one of its clock faces. As the newly maintained clock face was getting replaced, however, some sort of claw game shenanigan resulted in it being left to the mercy of gravity. You know how the rest of that goes; the face made three different tragic yet aurally satisfying clanks on the way down.